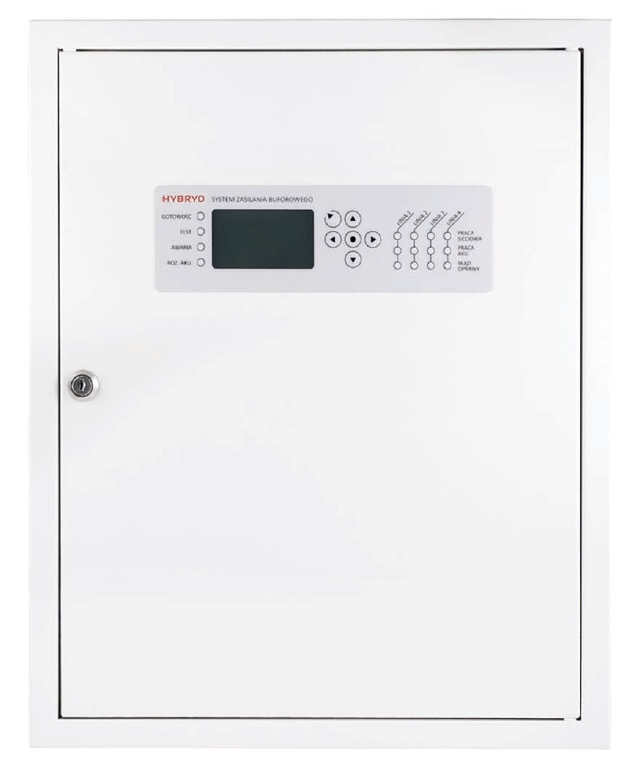 The Low Voltage Distributed Battery System (LVDBS), also known as a Low Power System (LPS) consists of several small cabinets with built-in batteries supplying dedicated luminaires with voltage in range from 20 to 27.2VDC. These kinds of systems are dedicated to small sites or sites where exchange of batteries in self-contained luminaires would generate high costs (for ex. high luminaire mounting altitudes), or the usage of a HVCBS is not financially feasible. in maintained or non-maintained mode being on the same line. LVDBS cabinets are interconnected over an industry grade EIA-485 link but operate as independent units. 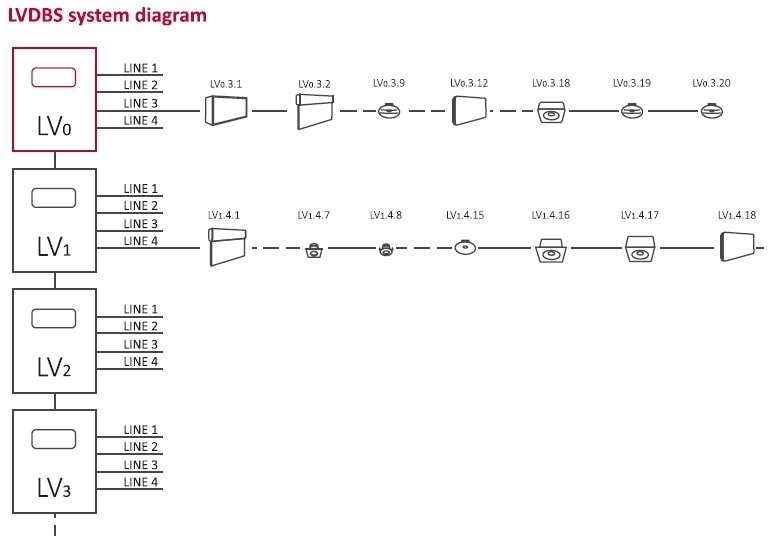 Communication between cabinets allows to view test results and system status from the main unit (LV0 in red, as shown on the system diagram). Test results from all system cabinets may also be viewed on the H-300 PC central monitoring system connected with the LV0 unit over Ethernet.